Learn how to harness the power of traditional PR and social media to elevate your brand to new heights. 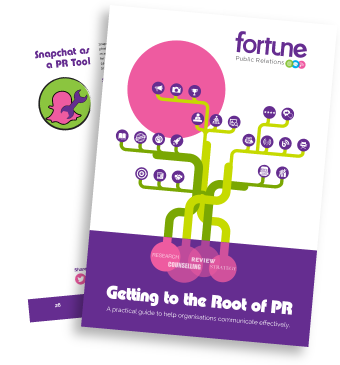 PR is a vital communications process that will help to build trust in your brand and win loyal customers. This book provides bite-size PR and social media ideas for your PR plan. Proven strategies and tactics at your fingertips! Fill in the form and download your free e-Book now. Start building a bigger brand and more business. Your data will only be retained for as long as you wish to receive the blog. You can unsubscribe at any time. Fortune PR helps B2B, Consumer and Property clients to communicate more effectively with key audiences to achieve their mission and goals. Learn more about us at www.fortunepr.co.uk.